Hanna Werning works as an independent designer across disciplines such as; communication design, product design, visual arts and illustration, self-initiated and commissioned work. 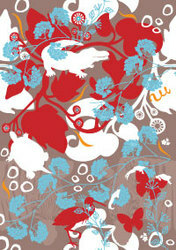 Since 2004 she has been running her own company Spring Street Studio in Stockholm, Sweden. 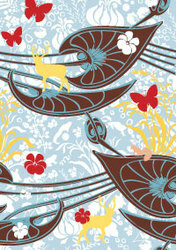 The name comes from her time living in London where she was educated a graphic designer at Central Saint Martins College of Art & Design. Hanna has a strong fascination for patterns and colours and has been designing prints, wallpapers, textile, porcelain etc for Boråstapeter, Rörstrand, IKEA, Sagaform, Eastpak, Anna Sui and House of Dagmar. 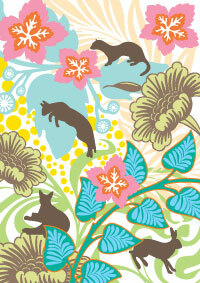 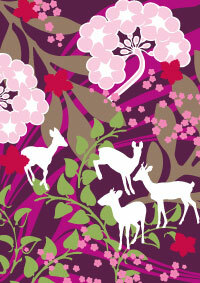 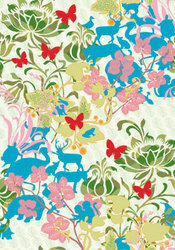 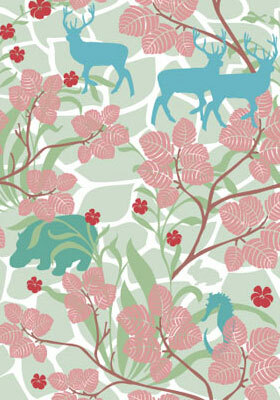 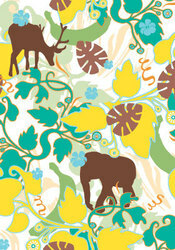 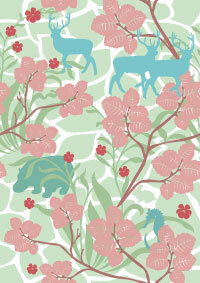 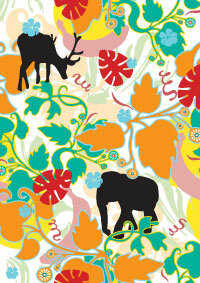 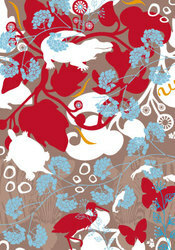 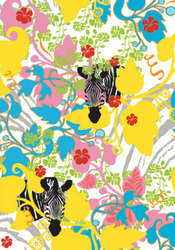 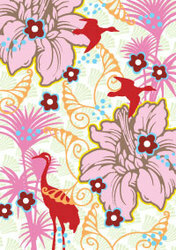 She is also the designer and manufacture of her own product AnimalFlowers wallpaper-posters.